The VC-203PT, which functions with the VC-203PR can split into four different kinds of combinations. 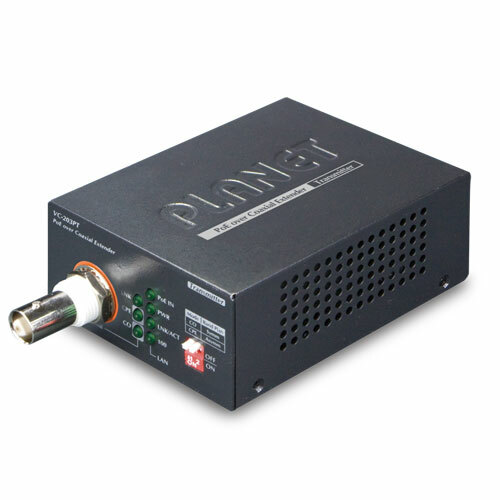 The VC-203PT can power by either from external DC power adapter or high power PoE switch. The power output of the VC-203PR is selectable – PoE output to the PoE Power Devices (PD) OR DC power output to the Non-PoE Devices.